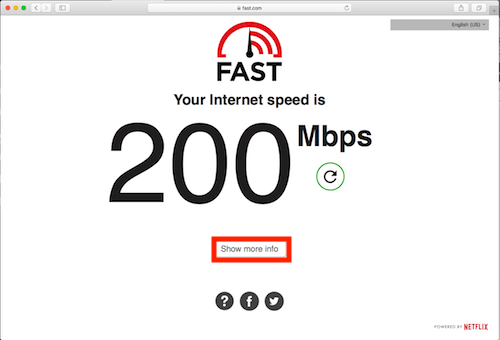 How do I run a speed test on my computer or device? There are many internet speed test applications available to check your bandwidth. 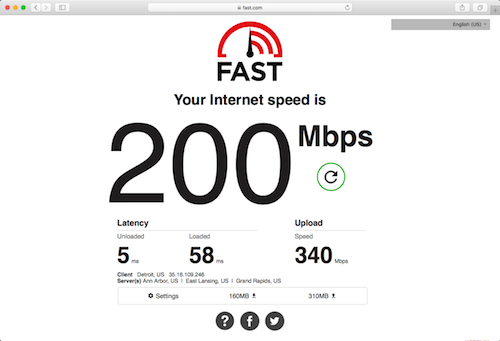 These tests allow you to check your upload and download speeds, and they help identify issues with your network connection. 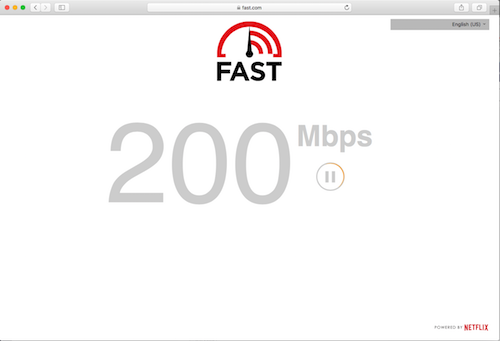 Use fast.com to run a speedtest on your wireless devices. Running multiple tests is recommended to get the best results. Go to fast.com. The speed test will start automatically. Once the test has completed, click Show more info. Detailed information will be displayed. If you feel your internet speeds may be slow, please contact the C&IT Help Desk with the detailed information above.